A recent study from Smithers Pira – The Future of Offset vs. Digital Printing to 2018 – shows how the issue of direct competition between digital and offset printing is a daily occurrence for print buyers. In 2008, digital printing accounted for less than 18.5% of the market. By 2018 it will total nearly 50%. At BroadBased, we cut our teeth on print production and still LOVE to get our printed materials groove on. We select our printing partners based on Client needs primarily including quantity, budget and production values. Below are a few pieces we’ve had the recent pleasure of designing for Clients. 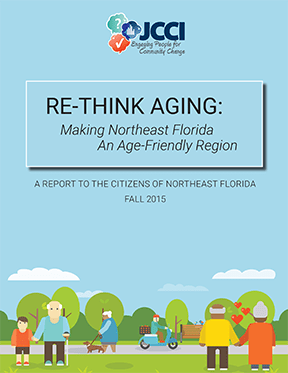 “Re-think Aging” report to the community produced by JCCI. 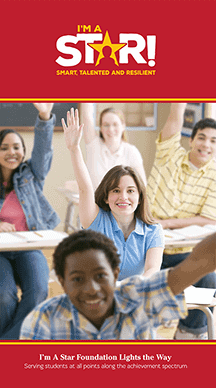 Fifty information-packed pages to be distributed at JCCI’s annual meeting Friday, October 2. New branding and marketing materials New branding and marketing materials donated to I’m A Star. 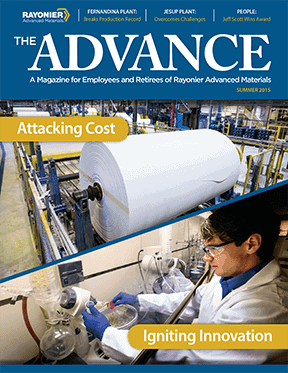 The summer issue of The Advance, a magazine for employees and retirees of Rayonier Advanced Materials.